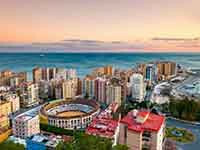 If you are interested in shopping and walking through beautiful historic streets, you need to go to Malaga. A charming historical center will take you to the distant past, and modern shopping centers will show the latest fashion trends. Here, in Malaga, opened and the IKEA store.